Deep in the Devon countryside there exists a sanctuary. A haven. A paradise for outdoor food lovers. Easily overlooked from the road through the village. Deceptive in its simplicity. Entering through the circular archway feels like an initiation in itself. It beckons you onwards, as if to Middle-earth – and you may never want to leave. Totally unpretentious. Relaxed and welcoming. Congratulations; you have made it to Country Wood Smoke HQ, home of BBQ legend Marcus Bawdon. It’s Mrs. Otter Vale’s first visit, and it’s everything she’d hoped it would be and more. At first glance, it looks rustic and comfortable. Then, when you look closer, you spot lots of creature comforts and mod cons. It’s every big boy’s BBQ dream; bursting with toys and kit, and there to guide you through is the man himself. Marcus Bawdon, Tarka, Mr. Otter Vale and Ambrose at Country Wood Smoke HQ. Photo by James Brooks. We’ve “known” each other on social media for a little bit now, and there’s been much admiration of what this man can do with fire. Having noted his insistence on quality meat (and slightly in desperation, with Mr. Otter Vale scenting spring and talking about getting the BBQ out again), Mrs. OV recently sent Mr. on Marcus’ beginner course. He came back in awe of the man and the mastery, and Mrs. OV was chuffed because we ate before dark when he next cooked on the BBQ!!! 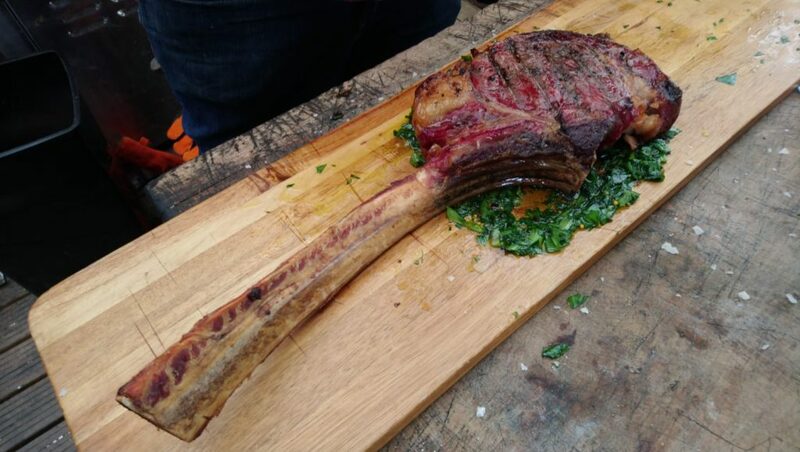 So we arranged to come and see him in action during Great British Beef Week, bringing up a succulent tomahawk steak from The Butcher’s at Darts Farm. Throughout GBBW, our blog series has been celebrating the provenance, sustainability and quality of local, grass fed beef. So we thought we’d get Marcus’ take on it all, and he kindly agreed, chatting to Mr. OV whilst cooking, with Team Brooks busy catching the man in action. What’s important to you when sourcing your meat and why? Flavour. Flavour is the most important thing, and this will be affected by the welfare of the cattle – how they’re bred, how they’re raised. You prefer to use local/westcountry meat. 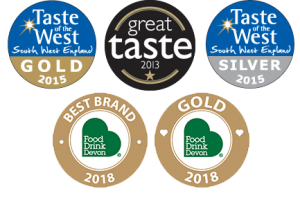 What do you think makes Devon and West Country meat so special? The local climate, which means that you get good grass growing and get the best beef. I source most of my beef from local butchers, within a few miles of here. Marcus’ book is due out in May 2019… we’ve pre-ordered ours and Mr. Otter Vale was taking notes. Lots of notes! What do you use to guide you when selecting the best beef? Local knowledge; speaking to your butchers. And you can see the quality in meat. A good-looking piece of beef will shout “Cook me”. How important is it to you that people support local butchers and other producers? Incredibly important. It’s essential to the survival of these small businesses. What is your favourite breed of cattle for meat quality and flavour, and why? The Aberdeen-Angus. Their fat content makes them pretty much perfect. I also like meat from the Dexter – its meat is sweet and nutty. What’s your favourite piece of beef to BBQ and why? Steak. A good thick steak, simply cooked. Me! My wife doesn’t enjoy cooking [SEE, Mr. Otter Vale??? It’s not just you who has a wife who feels like that!]. I have a favourite quote from the Italian butcher Dario Cecchini. 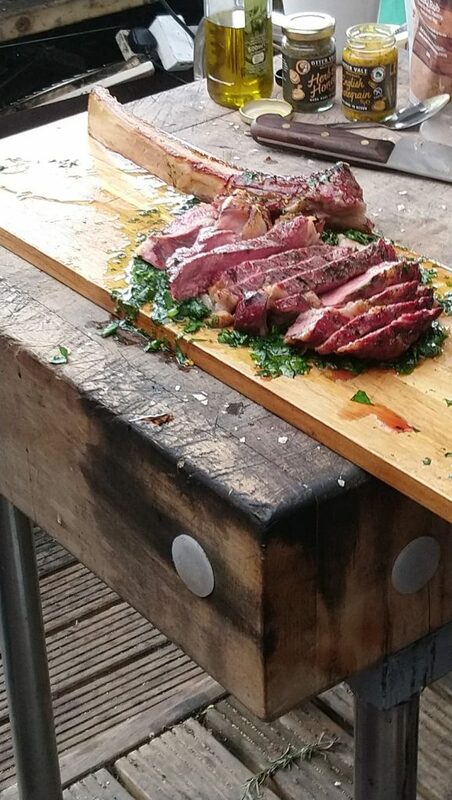 Thanks to The Butcher’s at Darts Farm for supplying us with the tomahawk steak which Marcus cooked for us. 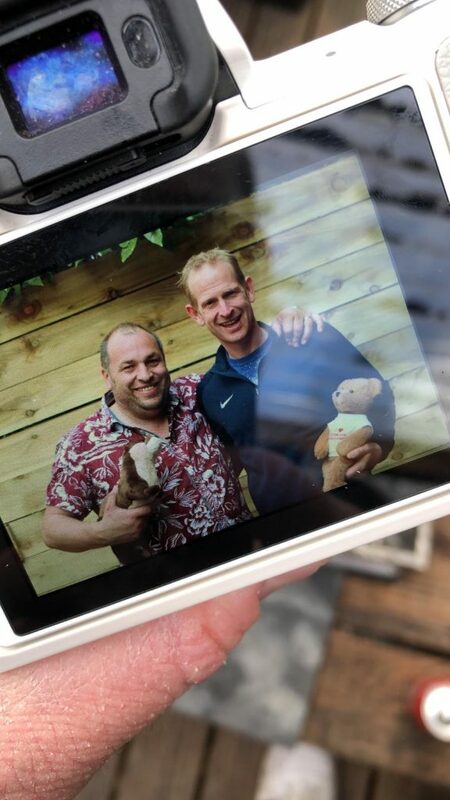 Thanks to James and Reuben, our friends and neighbours at Team Brooks, for putting up with us, sharing their wild garlic and banter, and their photos and videos. Thanks to Marcus for his hospitality and generosity of time, spirit and food! His book, Food and Fire, is due out in May and you can pre-order it here. 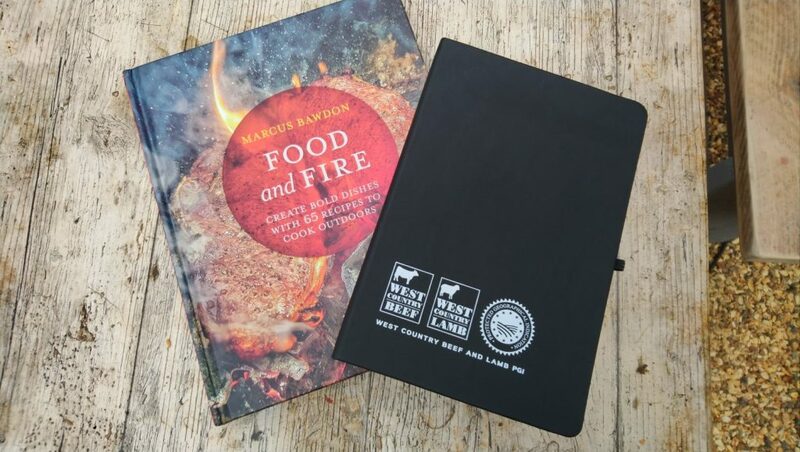 If the feel and look of the book, and the taste of what Marcus cooked for us are anything to go by, you are going to want to have this book at hand in your outdoor kitchen!